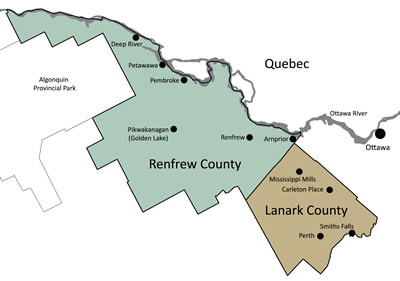 The Labour Market Group of Renfrew and Lanark Counties represents one of 26 workforce planning areas in the province of Ontario. Funded by the Ministry of Advanced Education and Skills Development, the group works to provide accurate and timely labour market information to employers, job seekers and organizations that use labour market data for strategic planning purposes. The group provides annual labour market reports that outline trends in the local labour force using statistical data from several sources, as well an intelligence gathered from local employers and employment agencies. In the Province of Ontario there are 26 Workforce Planning areas which receive funding from the Ministry of Advanced Education and Skills Development, to facilitate a Local Labour Market Planning (LLMP) process that identifies and prioritizes labour market issues. Once issues are identified, the Workforce Development/Training Board or other local organizations responsible for this task work with community partners to develop a plan of action to meet the changing labour market needs of the community. Mission: To work collaboratively with community partners on the creation of innovative labour market solutions that meet local workforce development needs.